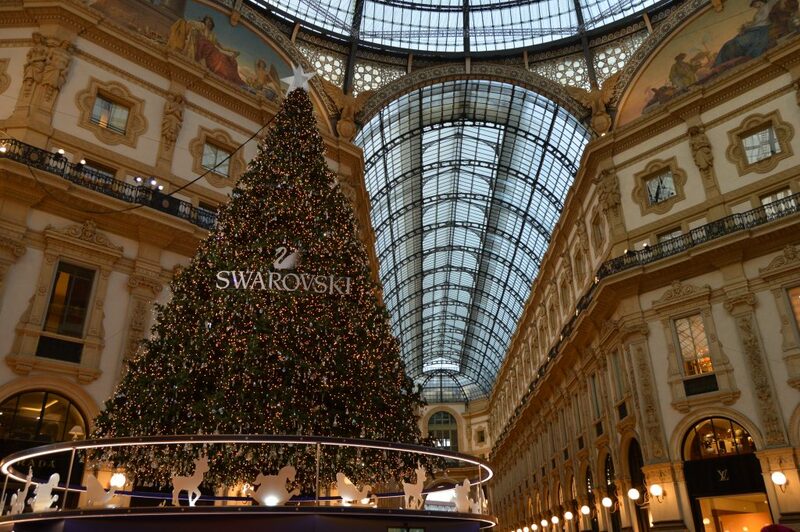 Christmas time in Milan is one of the most beautiful events, the lights, the markets transform this city in a shining diamond. 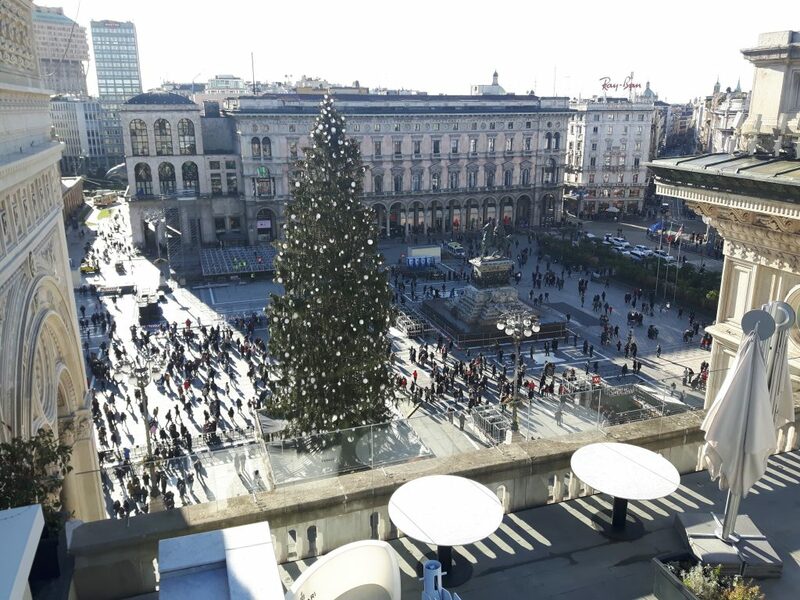 With the inauguration of the trees in the Gallery and in Dom square has officially finished it’s “Christmas transformation”. From the center to CityLife, from the Navigli to the Fashion neighborhood where and how the most beautiful lights of the city shine. Dom square Markets, from the 25.11.2018 – 10.01.2019 (every day from 9.00 to 21.00). In the classic wooden houses with gastronomic specialties of the various Italian regions. 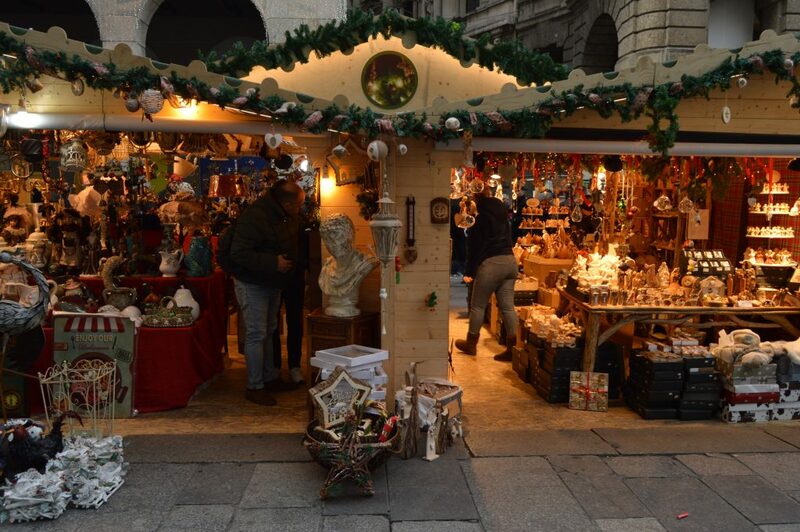 O’Bej O’Bej Markets, in Piazza Castello (Sforza Castle) from the 7.12.2018 – 10.12.2018 (every day from 8.00 to 20.00). 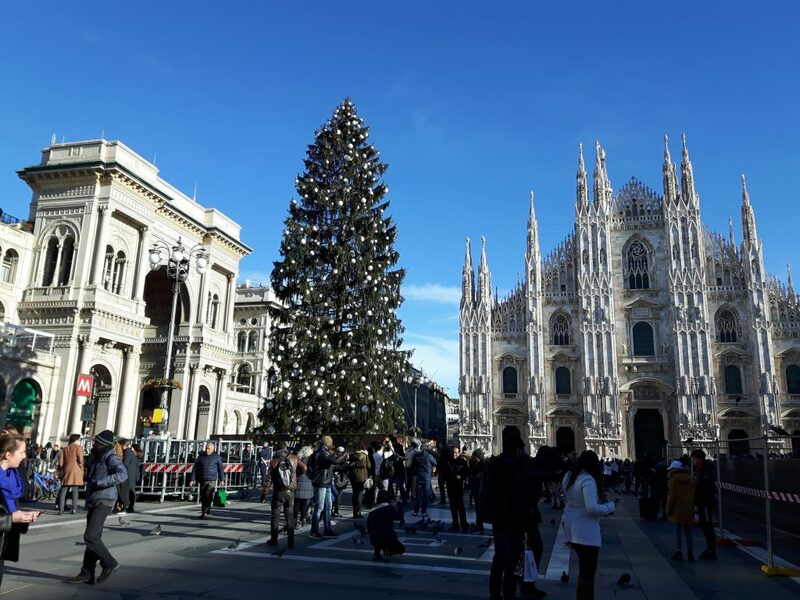 The oldest Christmas fair in the city of Milan, from the Sforza Castle it widens through the streets of the city The fair of Oh Bej Oh Bej, is very old and is a tradition particularly felt by the Milanese. Christmas Market in Peschiera Borromeo, 08.12.2018 – 06.01.2019 (every day from 10.00 to 23.00). In the Christmas village, you will find exclusive products from all over Italy, typical regional food specialties, sweets and chocolate, delicacies, quality crafts, gift items. Selected exhibitors Lighting with light effects and architectural projections. Christmas-themed itinerant musicians and street artists, creative workshops, children’s entertainment, Santa Claus. Surrounded by airports, the most important, Milan Malpensa 30km from the city center. Normally you will arrive at MALPENSA T1 if you want to take Vueling / Ryanair / Norwegian and for intercontinental flights, if you arrive with Easyjet, you will get T2. More info. Once you arrive at Malpensa there are several ways to get to the center: the taxi method I strongly discourage you due to its high price. MALPENSA EXPRESS and in Bus. The second airport instead is only for Ryanair flights, if you arrive at ORIO AL SERIO, you will have the possibility to take the Bus or rather the Orio shuttle from 4 €. More info. 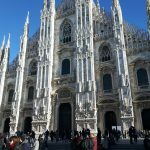 Milan being in the center of northern Italy connects many cities, has several train stations but the most important is Central Station, where high-speed passes and Garibaldi Station for more local trains. Central Station connects various tourist cities such as Florence, Rome, Venice, Turin, and Naples. The city is connected by international train with Switzerland, Zurich or Basil are a 4h distance and 30€ one-way price ticket. France has a good connection too, the Blue coast and Monaco state are connected with fast trains starting from 15€. 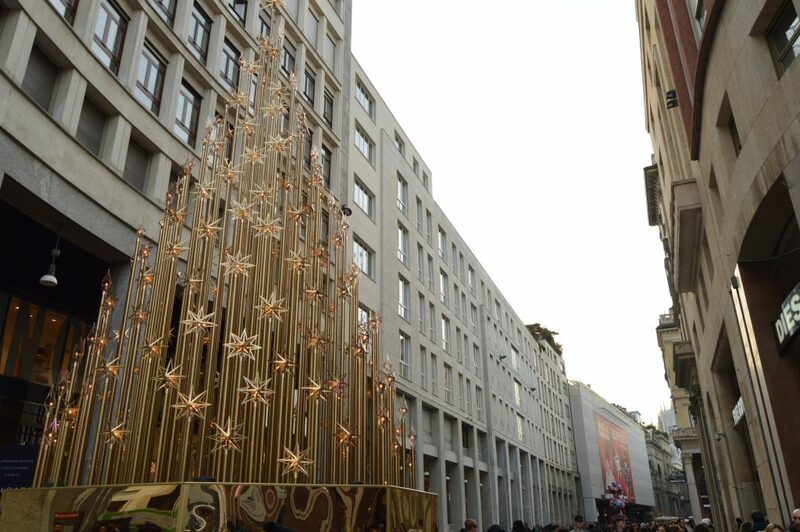 There are so many around Milan that you can visit, especially on Christmas. Como is a beautiful city that organizes Christmas markets every weekend. One hour by train from Milan, by night you can admire the lights show in the Cathedral place. Bergamo, if you take the flight from Orio al Serio is very easy to visit the city. Leggiuno, the last years this city has become very famous for his Christmas village, don’t miss it. Try hot wine in the markets. Visit the Highline Galleria (10€), observe the Dom square from the top. Shopping lovers? Go to the Rinascente. Christmas markets accept only cash payments. More Christmas destinations: Copenhagen, Montpellier, Oslo, Luxembourg, Bruges.